With all the sleeping your baby does, she may not spend enough time on her tummy. You know how important it is for your baby to go to sleep on her back, but tummy time is also important. Tummy time helps your baby to strengthen the muscles in her upper body and neck. Not only does tummy time help your baby build muscle strength, but also it helps her developing brain. You see, laying on your back only gives you one perspective of the world. Placing your baby on her tummy will encourage her to look around, reach out for toys, or attempt to crawl and roll over. 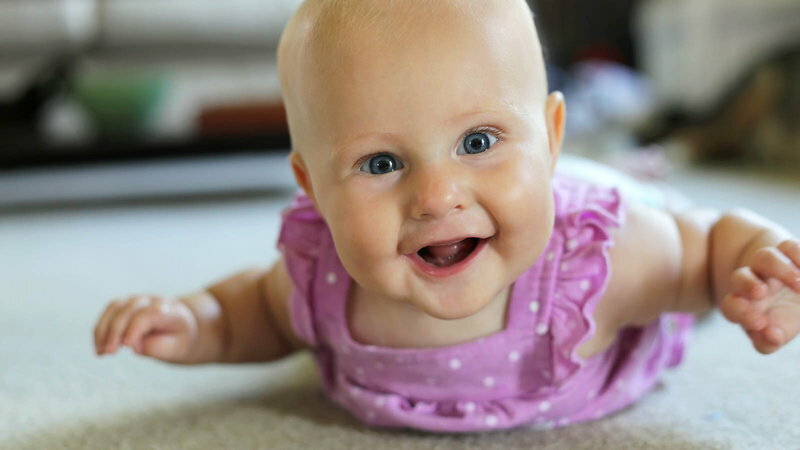 Experts have found that babies that don’t get enough tummy time often have delays in motor skills such as sitting up, rolling over, and crawling. Along with motor delays, not getting enough tummy time can put your baby at risk for positional plagiocephaly (misshapen head or flat spot on baby’s head). 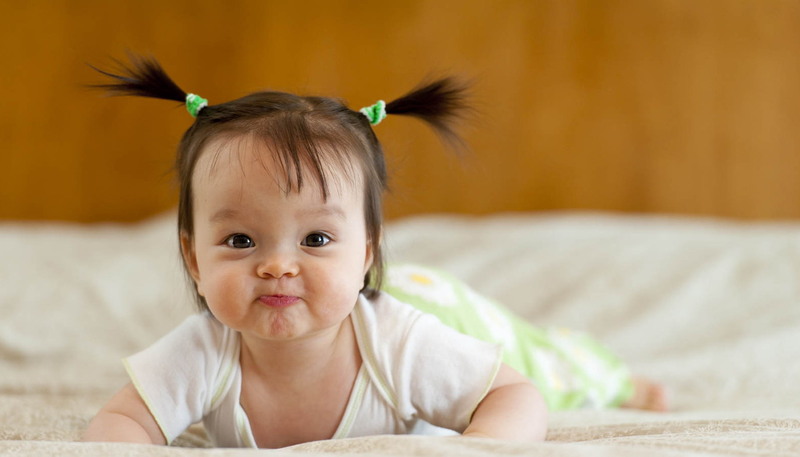 If your baby spends too much time in one position, she may develop a flat spot on the back or side of her head. Some babies naturally like to be on their tummies; however, babies that get used to being on their backs often resist tummy time. Try to make tummy time fun and introduce it to your baby slowly. Start introducing tummy time to your baby early. When your baby is first born, he may not have a preference for how he is positioned. When he is awake and supervised try to place him on his tummy. Try letting him lay on his tummy across your lap while you rub his back. Start off with just a few minutes of tummy time per day. A good start is two or three minutes at a time. You can try putting your baby on her tummy for a couple of minutes after every diaper change. Use a boppy pillow. Boppy pillows are great for positioning your baby on her tummy. Place baby’s arms over the top of the boppy pillow. You can place toys or mirrors nearby for her to grab while playing. Get on the floor with your baby. 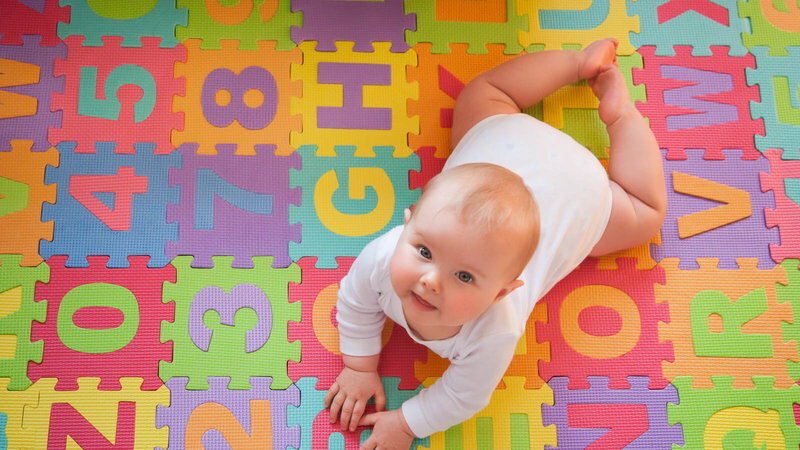 Your baby will have a lot more fun doing tummy time if you are close by. Lay beside him on the floor and play with him. You can also lay on your back and place your baby on top of your belly. Once your baby is a little older, you can try doing floor exercises with your baby. Lay on your back, like you are going to do a sit up, bend your knees, and put baby across your knees. You can do abdominal crunches while you hold your baby’s hands. It is great exercise and your baby will love it. Put a folding mirror or toy with a mirror on the floor in front of your baby. Babies really enjoy looking at mirrors and seeing their reflection. Encourage your baby to reach for toys by shaking rattles or keys in front of him. You might be surprised when he suddenly starts scooting around to get them. Help your baby learn to roll over by putting a blanket underneath her. You can help her practice rolling over by gently rolling her over using the blanket. Put a musical play mat under your baby. The music is easy entertainment for your little one and will make tummy a little less boring.